This book is spiral bound, 8-1/2 x 11, contains 102 pages and 220 figures—both photographs and drawings as required. Most of the information is how to do things with Sherline equipment that no one has ever done before. See how to mount the Sherline CNC indexing table on the Sherline lathe with a simple boss, a shaft clamp and a sheet metal restraining arm. This allows gear cutting of wheels with teeth from 2 to 999. Learn how a homemade hand crank can simplify threading with a tap or a die, as typically done with bench lathes. See how the same hand crank and a few accessories allow the winding of powerful fusee clock springs, as well as all other clock springs on the Sherline lathe. Learn a simpler way to make a Jacot tool for pivot polishing on the Sherline lathe. See how to make a FERGUSON PARADOX, that has endlessly puzzled people with its unexpected gear motions since the seventeen-hundreds. Learn how to mount the CNC indexing table on the Sherline milling machine with two simple fittings and one easy machining operation. This allows gears and multi-sided objects to be cut on the Sherline mill, as shown in the text. See how the Sherline headstock assembly can be mounted on a bench lathe for milling operatons. Learn how to drive a Sherline headstock on a Sherline vertical slide with a sewing machine motor for gear cutting, as well as how to make the motor reversible. This avoids the problem of excessive weight that occurs when the headstock is driven with the complete Sherline motor and speed control on the vertical slide. View a chapter of other things that can be done with Sherline equipment, collected from my past writings. 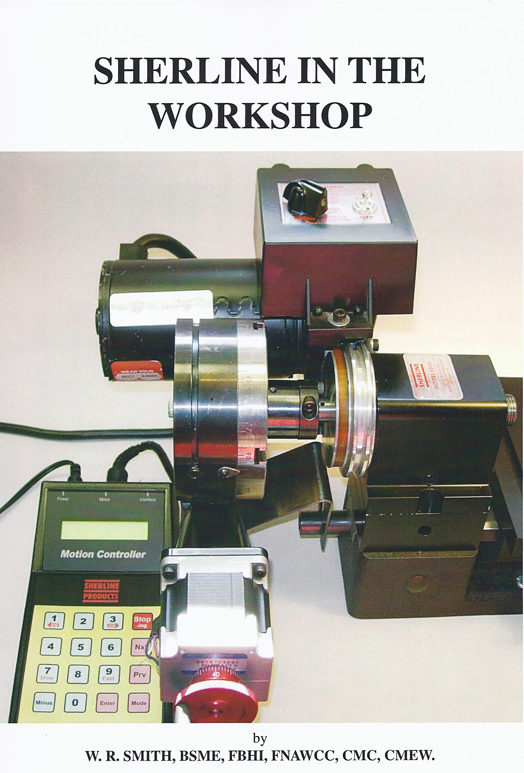 This is a book that greatly extends the usefulness of Sherline equipment in the workshop.